According to figures from the Office for National Statistics, a daily two hour commute is increasingly becoming a reality for working Britons. In 2015, the average daily commute was just over 57 minutes. However, the most recent ONS statistics indicate 3.7 million workers travel for two hours or longer on the average work day. Given the increasing amount of time many of us spend just getting to work, is there any way to make it count? For those who depend on public transport to get to work there are lots of ways to turn this into a positive opportunity. Switch from the bus to a bike to see some serious health benefits or get off a couple of stops earlier and increase your daily step count by walking some of the way. Take the stairs instead of the lift on a public transportation system and, if escalators are part of your daily journey, walk up them, don’t stand. According to research conducted on Taiwanese commuters, those who use public transport are 15% less likely to be overweight than those who drive. Instead of just letting your mind wander when you’re commuting, use the time productively instead. 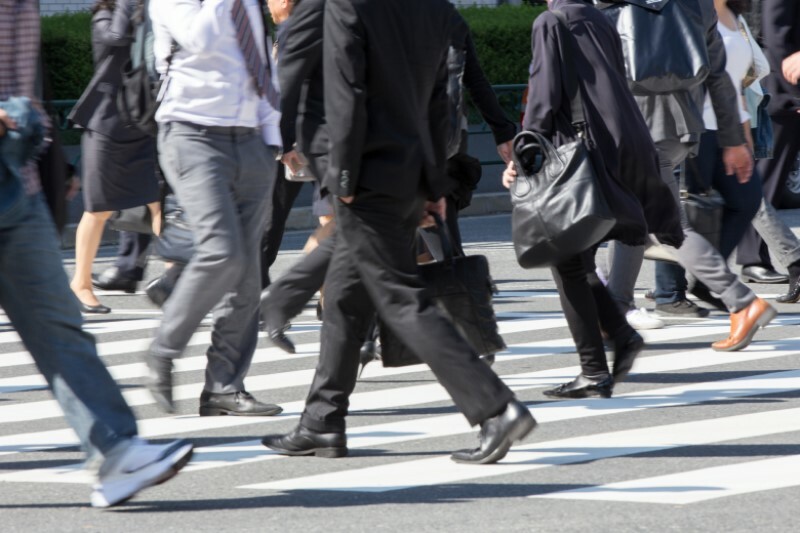 Studies have shown that people who use a commute to plan and organise upcoming tasks, as well as future career moves, are less likely to have a negative commuting experience. Spending time focusing on your career like this can also improve job satisfaction. Whether you’re stuck in a traffic jam or on a crowded bus, relaxation may seem like the furthest possible prospect when you’re commuting. However, there are ways to use this time to help find a bit of peace. If you’re not driving then sitting still like this is the ideal time to use a meditation app or to listen to a relaxing piece of music. Take a soothing hot drink with you, a good book or download your favourite TV show to your phone and enjoy this time with nothing to do but wait until you get there. E-learning is very widely used today, whether you’re looking to pick up a language or understand more about a pet topic, such as astronomy or emotional intelligence. The time we spend commuting is ideal for this and technology makes it possible to learn whatever type of transport you use. Audio books and online courses are easy to access via devices such as your smart phone and e-learning apps provide a wealth of options too. Plus, there is evidence to suggest that learning in short, sharp bursts like this is actually a more effective way to absorb information. One study found that “spaced” learners – those studying for an hour at a time maximum and then doing unrelated tasks in between – scored higher than those learning for longer periods of time. Your daily commute doesn’t have to be wasted time. From learning a language to planning your next career move, there is a lot you can do with that hour (or two) every day. Posted by 2iRecruit in 2i Recruit News | Top Tips.